If you love laughing at life and want to show off your playful side, jester tattoos can be just the way to do it. Jesters were the medieval equivalent of today's clowns, fools or buffoons. They were paid to crack jokes stage falls, and be entertaining and lighthearted. Typically employed by monarchs, they wore the brightly colored livery of the King or Queen who employed them. Over time, the image of the jester gained the addition of a three pointed, floppy hat and a mock scepter. These attributes along with their laughter, cheerful personalities and brightly colored clothing made the jester or fool instantly recognizable. Today, jester tattoos can be found on the arms, shoulders and backs of those who love jokes, wit and foolery enough to want to share these traits with the world. 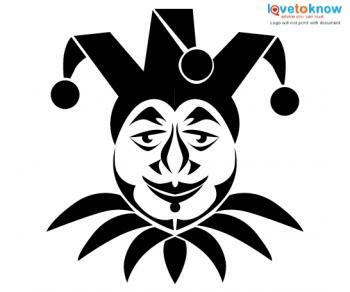 While not every tattoo is symbolic, the classic image of the jester is easily recognizable to many people. 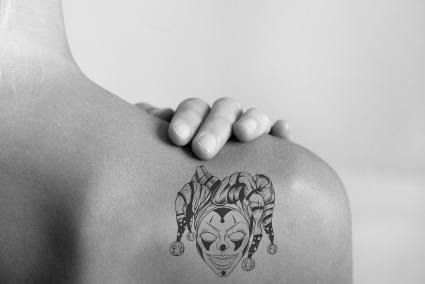 For this reason, jester tattoos typically symbolize a variety of traits in the wearer. Jesters or court fools rarely had a script to follow. They were known for having a quick wit and a comeback for nearly every occasion. Someone who sports a jester tattoo may want to be known for a quick wit and ready response as well. In images depicting triumph over death, the grim reaper can often be seen dressed in a jester's costume. A tattoo of a skull or reaper dressed as a jester may indicate triumph over illness or hard times. Some people who have been fooled once but want to indicate they will not be fooled again may choose to get a jester tattoo to display this to the world. Evil jester tattoos are nearly as common as the standard jester. 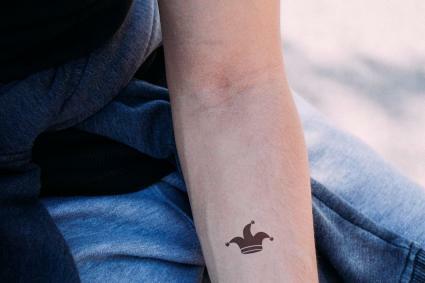 While every tattoo's meaning is personal to the wearer, some state that they are triumphing over evil or poking fun at evil by dressing a sinister face in a jester's hat. One of the roles of the court jester was to mock the authority of the monarch who employed him. A jester tattoo may be a way to mock today's authority. There are countless ways to employ the image of a jester in a tattoo. No matter what the reason behind the image or where on the body you plan to wear it, consider any of these styles. The hat of the jester alone eliminates the need to have the face of the clown appearing happy, sad or evil. This imagery allows the meaning to change. The jester's scepter was an iconic part of his costume. 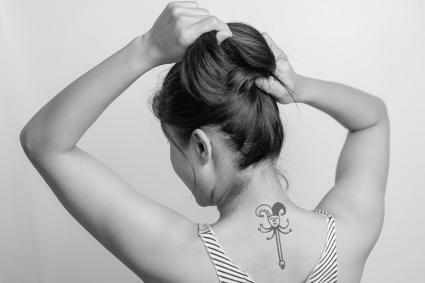 This image can be used alone, or another non-jester-like figure in the tattoo may hold it to still incorporate the symbol into another tattoo. Show a close up of the jester's face, whatever his expression for a personal look. Include a lot of color and action into the tattoo by using the full body image of the jester. The colorful costume and frequently comical poses of the jester allow for infinite customization of the design. Just like any clown, the jester can show multiple feeling at once. Split the image in two, with two different colors and two different expressions to show conflict in emotion. 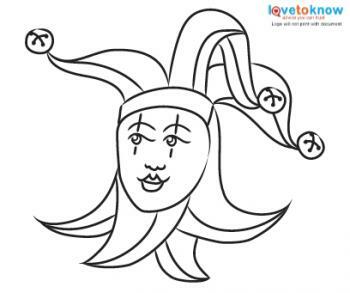 Jester tattoos can take on countless meanings; if you enjoy the look of this mischievous clown, bring your own personal meaning to it. Finish the design with your own colors and personal touches to show the world your playful side.